Includes Driver Assist, Warm Weather Pkg, Cold Weather Pkg, 20" Wheels. Located in the beautiful Bend, Oregon area of the Pacific Northwest, Audi Bend is proud to bring you quality new, used, and Certified pre-owned Audi vehicles. We are part of the Kendall Auto Group family, established in 1937, and carry on a great legacy of family-based values and unrivaled customer service. We consider our neighbors and customers part of our family and would love to welcome you home to Audi Bend, where our knowledgeable and friendly team of professionals waits to greet and guide you throughout your Audi purchasing experience. Visit our showroom today and experience the Kendall difference. We are conveniently located at 1045 Southeast 3rd Street in Bend, Oregon 97702, just a short drive away from the lovely areas of Redmond, Prineville, Madras, Eugene, and La Pine, OR. While you're visiting, take a look at our selection of new Audi vehicles, including the new S5 Sportback, Audi A4, Audi Q3, or Audi Q5 out for a test drive and be prepared to fall in love with these German-engineered masterpieces of luxury and innovation. They are fun to drive, loaded with entertainment and comfort features for driver and passenger, and award-winning in safety. Begin your search for love today by browsing our inventory of new and used cars and SUVs in Bend. We also have a list of featured new Audi Vehicles to help you get a great deal on a luxury car. Remember, each qualified used vehicle is covered by our Kendall Auto Protection plan. This comprehensive coverage watches out for you under the hood and on the road with roadside assistance. From the engine to the drive-train, it's peace of mind wherever the road takes you. It's our way of being there when you need us most and we wouldn't want it any other way. Read more about this coverage online or ask a Kendall representative for more information. At Audi Bend, our team will help you find the right finance option to meet your lifestyle needs in our Audi Finance Center. You can apply for an auto loan today from the comfort of your own home! It's fast, simple, and convenient. You can also find out the value of your current vehicle online. We purchase your used vehicles and give you the fair trade-in value you deserve and the hassle free experience you want. Sleek and powerful, Audi vehicles are truly an experience to drive and an honor to own. We want to extend that experience for you for as long as possible and help you maintain your investment. Come see us anytime in our Audi Service Center for all of your regular maintenance and car repair needs and one of our certified mechanics will take excellent care of you and your vehicle. Simply give us a call or schedule an appointment online and we'll get you back on the road as fast as possible. If you're ever in the market for Audi parts and accessories, look no further than our Audi Parts Center. Here at Audi Bend we love living and working in the Bend, Oregon area. We never take for granted how blessed we are to call this amazing area our home. To be able to bring you, our neighbors, the finest Audi has to offer is an honor. From our family to yours--welcome home to Audi Bend. Welcome home to the quality you deserve. Located in the beautiful Bend, Oregon area of the Pacific Northwest, Audi Bend is proud to bring you quality new, used, and Certified pre-owned Audi cars. We are part of the Kendall Auto Group family, established in 1937, and carry on a great legacy of family-based values and unrivaled customer service. 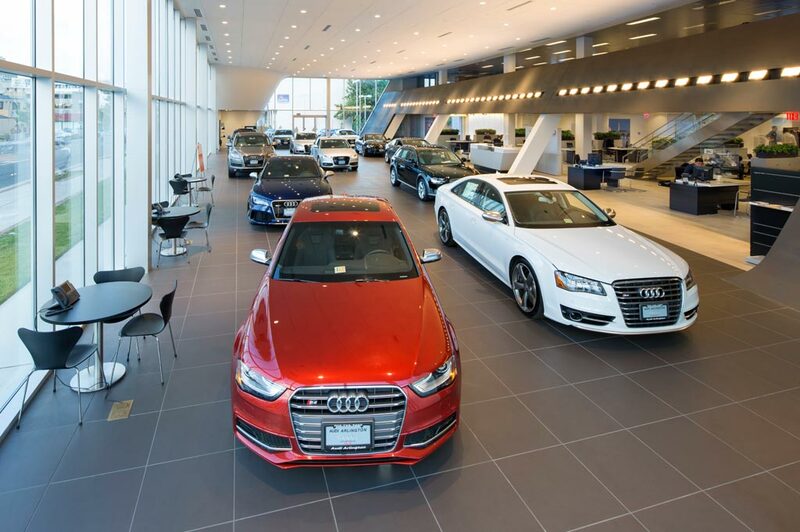 We consider our neighbors and customers part of our family and would love to welcome you home to Audi Bend, where our knowledgeable and friendly team of professionals waits to greet and guide you throughout your Audi purchasing experience. Visit our showroom today and experience the Kendall difference. We are conveniently located at 1045 Southeast 3rd Street in Bend, Oregon 97702, just a short drive away from the lovely areas of Redmond, Prineville, Madras, Eugene, and La Pine, OR. While you're visiting, take a look at our selection of new Audi cars, including the new S5 Sportback, Audi A4, Audi Q3, or Audi Q5 out for a test drive and be prepared to fall in love with these German-engineered masterpieces of luxury and innovation. They are fun to drive, loaded with entertainment and comfort features for driver and passenger, and award-winning in safety. Audi Bend understands that not everyone is in the market for new Audi vehicles. That's why at our used car dealership you will not only find new Audi cars for sale, but a wide variety of used cars in Bend as well. Our large inventory of Audi used cars provides our customers looking to make an automotive purchase with many used car options. Furthermore, in our selection of used cars we have an inventory consisting of Certified Pre-Owned Audi cars. To ensure top quality, our Certified vehicles have gone through several tests and multiple-point inspections. Shop our used car inventory, then give us a call or contact us online if you have any questions.